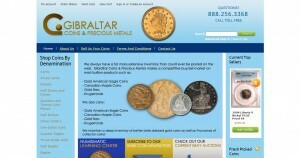 Gibraltar Coins and Precious Metals address, phone, website, hours of operation, and more. In 1977, a small coin and stamp shop opened inside a mall in Clearwater, Florida. Collectors and investors loved the personal commitment to excellence they found there, and the business flourished. In 1995, the store’s senior numismatist became the owner, and Gibraltar Coins and Precious Metals, Inc. was officially born. Victor Ingraffia and Timothy O’Fallon worked together to build superior portfolios for their clients even when gold traded at only $255.00 and silver at only $6.00 per ounce. Promoting a mix of gold and silver bullion with targeted rare United States coins created enormous portfolio growth for clients who followed their recommendations. With over 75 years of combined coin collecting and precious metals experience, Vic and Tim have turned their knowledge about and passion for precious metals and rare coins into a strategic plan to create long-term stability and wealth among their clients. 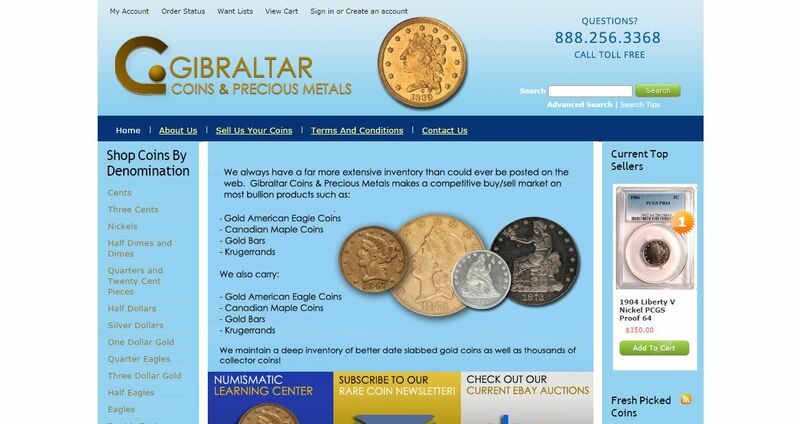 Gibraltar Coins and Precious metals remains at the same (expanded) location as a full service gold and U.S. coin dealership, in the same city, and with many of the same clients. Each client has become an important part of the history of the company, and Gibraltar Coins and Precious Metals has become an important part of the success of its clients.